"IIT Bombay was an extraordinary experience for me, and I am forever grateful for the education I received there. 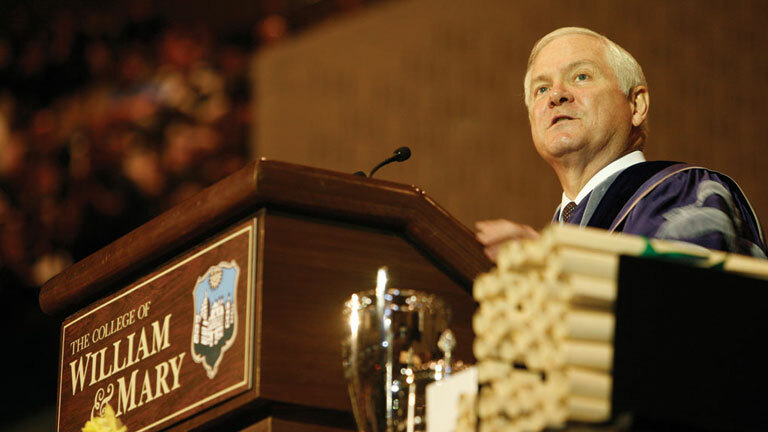 That said, I realized fairly early that I was not going to be a great chemical engineer." "Focus on problems. Don't get obsessed with tools and convention; instead learn about some yet unsolved real-world problems and build a reasearch program around principled approaches to solving such problems. Don't get obsessed with having a solution tomorrow. Learn to communicate well." "Make sure you focus on your studies, of course, but don't forget to experience the culture and go exploring. Like India, the U.S. is a huge, fascinating country with an enormous diversity of people, so use your time to have experiences you can't have anywhere else. You only go to college once - make the most of it. And make sure you invest time in friendships - those last a lifetime." "I have particularly enjoyed teaching and working with young people, and that has taken various forms over the years, both in the classroom and outside of the university. Nothing is more exciting than the exchange of ideas with others who are engaged in questioning and pushing the boundaries of knowledge." "First, prepare yourself! The invention is a tiny part of the process of bringing something to market. A successful inventor has to understand the entire process even if she doesn't manage every part of it. Second, reach out, do not fear failure. Perseverance and self confidence are requisites to the creative process. " " One major change that is required to sports governance in India today is - the involvement of active and retired sportspersons in the administration of sports in the country, rather than the administrators who govern the sports federations today without having ever played the sports themselves. This will bring about a sea change in how sports are played in the country." "I always wanted to study further and after I worked for about 6 years at the Diesel Locomotive Works at Varanasi, I felt it was time for me to study further and I came to US and I started with Industrial Engineering and gradually moved to Economics, as I felt that is where my interest is. That is how I ended up in the US." In the history of USA, Secretary Gates is the only Secretary of Defense to serve under Presidents of both parties. He is the first and only entry level CIA employee to rise to the position of Director of Central Intelligence. app2us.com: Secretary Gates, Thank you for granting this interview to app2us.com. It is a great honor to get an opportunity to talk to you. 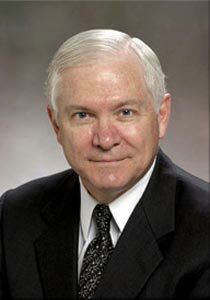 The Honorable Dr. Robert Gates: My pleasure. app2us: Congratulations on being appointed as the Chancellor of The College of William & Mary. How did your education at W&M help shape your thoughts throughout your career of public service? Dr. Gates: William and Mary's historic legacy of American leaders and graduates who enter public service, beginning with several of the founding fathers, is in the DNA of the College. The environment of the College itself, its location in Williamsburg, my professors, and the College experience itself all contributed to my decision to enter public service. app2us: What ideas would you like to bring to William and Mary from your past experience as President of Texas A&M University? Dr. Gates: My role as Chancellor is purely a ceremonial one. At the same time, as the first Chancellor also to have led a major university, I will always be willing to be helpful to the President, Rector and Board of Visitors however I can and at their request. app2us: As a cold warrior in 1970s, you decided to pursue a PhD on the topic of Soviet Sinology. what topic would you chose if you were to start your PhD in History in 2012? Dr. Gates: I think the relationship between Russia and China -- one a geographic giant, the other a demographic giant -- remains fascinating. Studying how they deal with each other, and with the rest of the world in the 21st century, would remain of great interest to me. app2us: US spends more on defense than other top 10 countries put together. 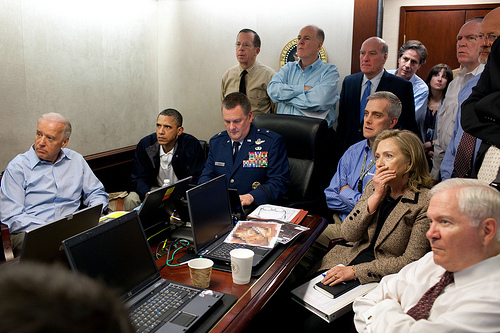 In continuation of your efforts, in January 2012, President Obama announced $487 billion in cuts in the defense budget over the next decade. Do you believe in the long run US may have to further cut defense spending if it needs to a global leader in peaceful activities like education, science and space exploration? Dr. Gates: Over the past century, five times the United States has severely reduced its spending on the military and other instruments of national security -- after World Wars I and II, Korea, Vietnam, and at the end of the Cold War. Each time, we have had to rectify that mistake at great cost in blood and treasure. The U.S. spends more than others because we have global interests, and one of those interests is protecting the global commons -- from freedom of navigation to space, cyberspace, and other realms. We can manage the cuts over the next ten years that already have been mandated; going beyond that, in my view, would truly endanger national security. app2us: You are the only entry level CIA employee to rise to the position of the director. Among the declassified events, can you share with our readers your most interesting experience as a CIA officer or director? Dr. Gates: As a long time Cold Warrior, the most interesting and challenging experience was becoming Director of Central Intelligence as the Soviet Union was collapsing and leading the effort to re-direct CIA's and the Intelligence Community's focus to myriad post-Soviet targets and problems. app2us: In your biography "From the Shadows: The Ultimate Insider's Story of Five Presidents and How They Won the Cold War" you have mentioned that the victory of cold war as a joyless victory. How would you describe your feelings at the end of Iraq war? app2us: Promoting diversity and faculty enrolment were among your key focus at Texas A&M, why is diversity very important at US universities? Dr. Gates: A significant part of a quality university experience for a student is being exposed to people from far different backgrounds and with very different life experiences. Surrounding yourself with people who look, think and believe just as you do not only is a lost opportunity to grow intellectually and culturally, it is very poor preparation for living and working in the real world. It is also important that universities -- and especially public universities -- welcome and serve all Americans. app2us: What value do the international students bring to US universities? Dr. Gates: International students, with their different backgrounds and cultures, contribute greatly to the richness of the educational experience for all students in our universities. But international students themselves benefit from attending the finest universities in the world -- which are here in the United States -- and get to observe first-hand on and off campus the workings of what is now the world's oldest democracy. Warts and all. They return home not only with a high quality education but, in each person's own way, also return as a missionary for freedom. app2us: Mr. Secretary, Thank you very much for your time. We thank Mr. Michael Fox of The College of William and Mary for his kind help with the coordination of this interview.